Congratulations to Chris, HBH’s Director of Nursing. 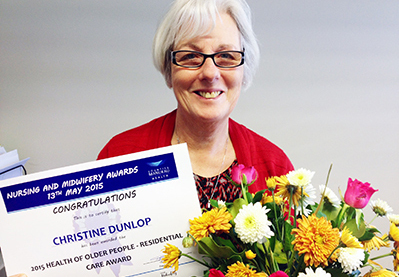 Chris was awarded the Counties Manukau DHB award for services to residential care. These nursing awards recognise outstanding contributions to nursing within Counties Manukau.